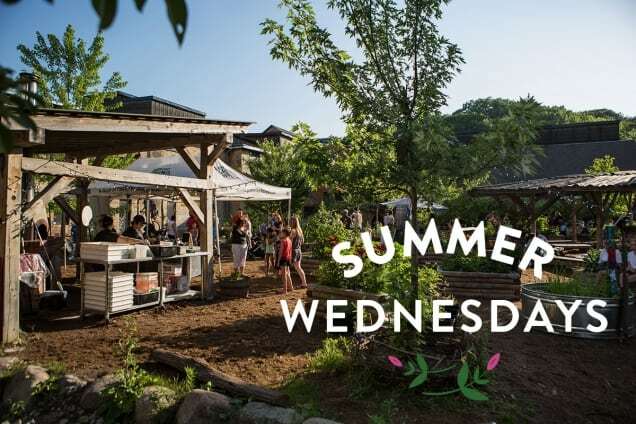 Did you know that Summer Wednesdays food night at Evergreen Brick Works is a thing? 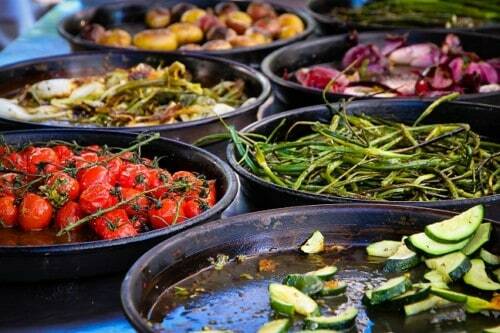 It launched in July and will be on until the end of August with a weekly line-up of eating, drinking, live art and playing (from biking to bocce ball) from 5:30 p.m. to 10 p.m. at Evergreen Brick Works (550 Bayview Ave #300). EBW has partnered with Il Forno Cultura who is firing up their wood oven in the Children’s Garden. Chef and owner Andrea Mastrandre is a third-generation baker and uses the oven’s natural burning cycle to prepare breads, veggies, fruits, meats and pastries. 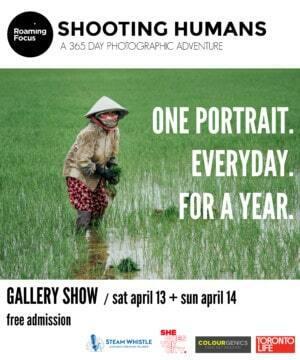 Collective Arts Brewing will present live art to music in the pavilions. Each week one of the female artists creates a piece to a soundtrack that is representative of their work. Five gourmet food trucks, including Arepa Republic, La Fiesta Catering, Fully Loaded T.O., BeGood Gelato, ME.N.U, Heirloom, Chimney Stax and Fidel Gastro’s. Craft beer at the bar near the Children’s Garden or from the Sipping Container, located in the Pavilions. Bike obstacle course for all ages (bring your own bike or borrow one from Evergreen). To get to Evergreen Brick Works, take the 28 Bayview bus from Davisville station or the free shuttle from Broadview station, which is extended for Wednesday nights. The last shuttle will leave Evergreen Brick Works at 10:30pm. More info here.